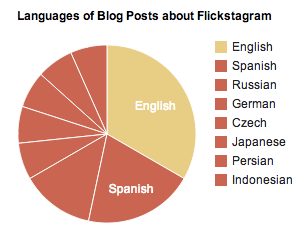 Why is Flickstagram more successful in non-English languages? Flickstagram, a service which will export your Instagram photos to Flickr, has had far more users in non-English speaking countries, and has also appeared in more non-English blogs than English ones. None of my other small projects have gotten this much traction in such a variety languages, and I was curious why. The website is still usable even if you can't read any of the buttons. 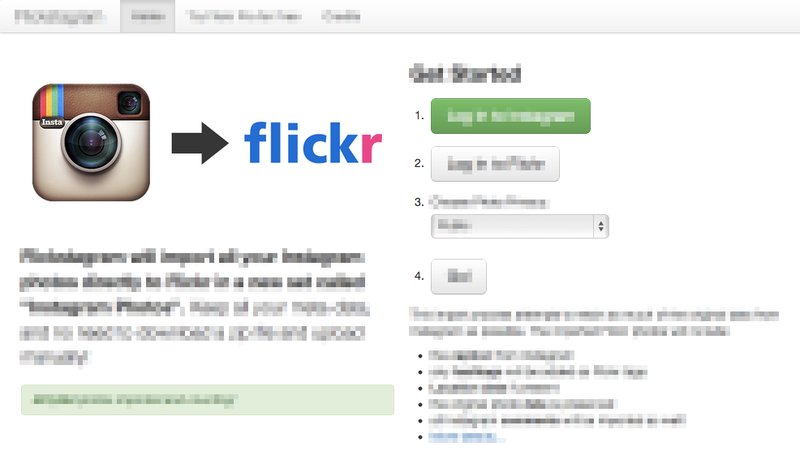 The giant Instagram logo pointing to the Flickr logo, giving some indication of what the service does. There is no question as to what you should do first. Even if you can't understand English, you can still use the site! This is my guess as to why this site has gotten so much uptake in other languages. So, when possible, design your websites so they can be used without reading any of the text! 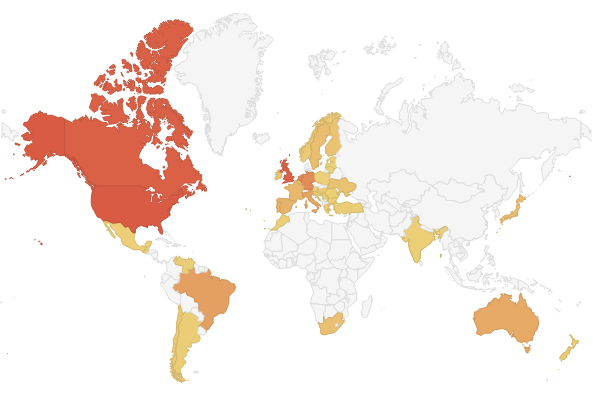 Just for fun, I generated a map showing the countries of all the photos that have been exported from Instagarm to Flickr so far. While the US definitely has the most photos, I am still surprised by the number of photos from other parts of the world!